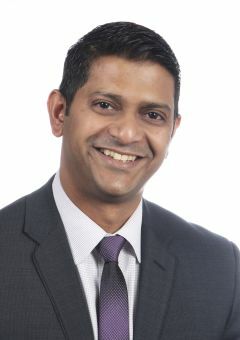 Leon Mascarenhas has been appointed as the new operations manager for the Heritage Collection based in the Auckland corporate office of Heritage Hotel Management Ltd. He has a diploma in hotel management from the India International Trade Centre, Mumbai and a comprehensive background in managing international and local hotels. Leon began his professional career in Mumbai as the assistant manager at the Grand Hyatt where he worked for three years before moving to New Zealand. In Auckland he held roles at Skycity Grand and Stamford Plaza. He headed back overseas to take up the role of resort manager at the Buri Rasa Village Resort Thailand. Most recently he was with the Adina Apartment Hotel in Auckland. “Leon has a breadth of experience which will be invaluable to the Heritage Collection. He has the skills to enhance existing Collection properties and assist new properties to the group,” says Gary Jarvis, chief operations officer Heritage Hotel Management Ltd.
“I am excited to join a respected hotel group such as Heritage Hotel Management. The Heritage Collection has become a well-known brand in a very short time and still has a lot more potential particularly in the conference and executive retreats market. I am looking forward to working with these great properties and enhancing the guest experience,” says Leon.